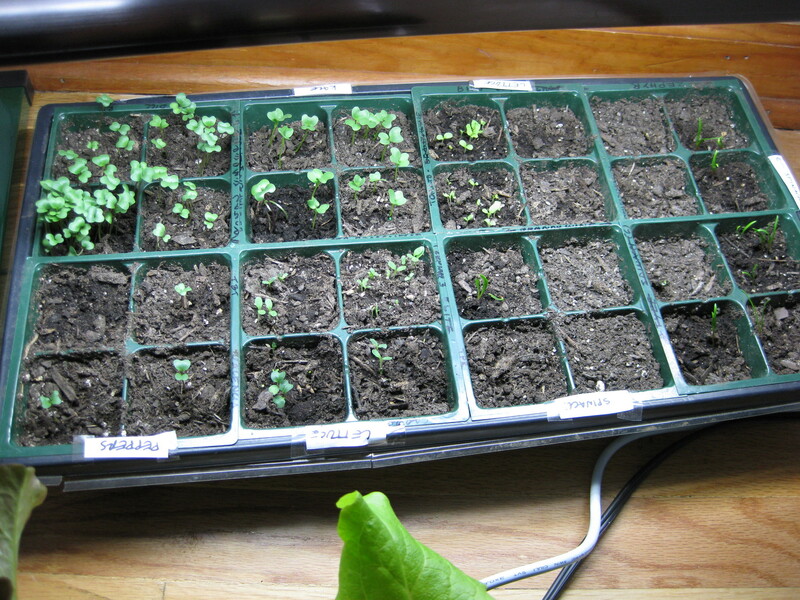 The snow around here had disappeared around the beginning of March, so near the end of the second week of March I got spring fever and started me some seeds: lettuce, kale, spinach, broccoli, cilantro, basil and dill. Also bought some spinach, lettuce, rosemary and mint plants from a local nursery and some lumber and dirt from the Depot. And then it snowed. Which put an obvious damper on my spring enthusiasm. At least I have the benefit of having been through Maine springs, which can sometimes fool one into trying to put one’s peas and lettuce in sooner than one should. 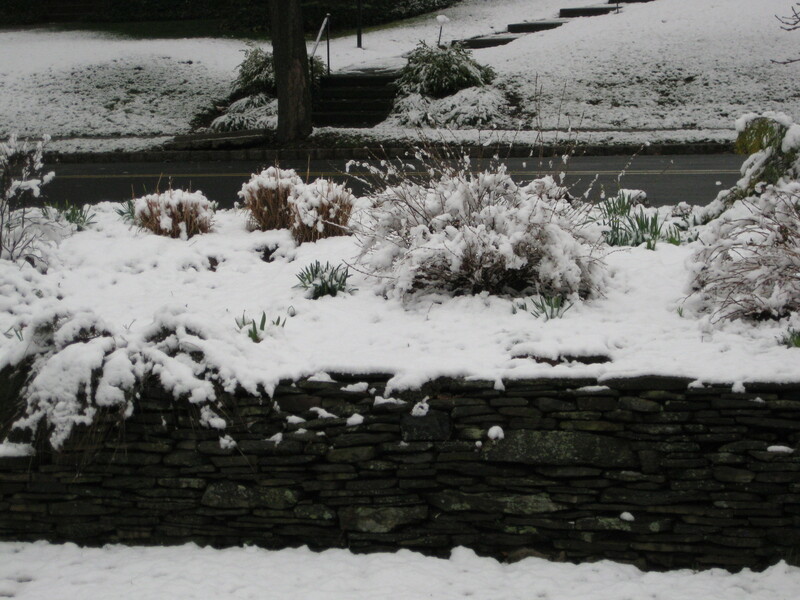 So though nothing was planted, I kind of thought “maybe since I’m further south I can get a head start…” Ah well. 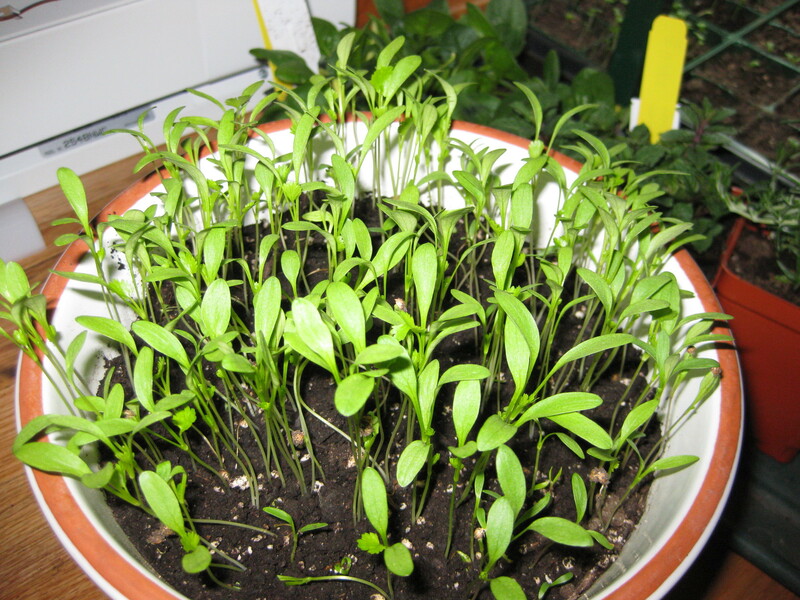 Starting some warm weather stuff indoors this week: peppers, melons and tomatoes. My plan is all about “rebuilding, adjusting” this year to see what is coming up and what works where in the various locations around the yard. And then I’ll see how much much annexing of arable land I’ll be able to get away with.